You Won’t Believe The Sonicare Rebates I Found This Month – Christmas Comes Early! To redeem you will need to make your purchase from a Kohl’s store and then print out the rebate form. Make sure you get this done before January 24th 2017. Head over to https://www.kohls.com/sale-event/rebates.jsp to print the form. Bed Bath & Beyond also is offering this Rebate Form that will save you up to $50 off the rebate is valid on purchases made up to December 31st 2017 and you must mail off your rebate by the 30th of January 2018. Below is a screen shot of the rebate and how much you can save on each model. Last up there is still a Manufactures Rebate that doesn’t expire until December 31st 2018. That’s right 2018 so you’ve got a year to use this one!! 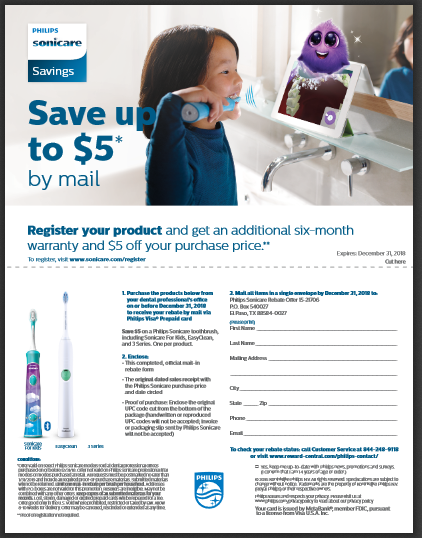 Just purchase any Sonicare electric toothbrush and fill out the rebate form. You’ll get $5 back and a extra 6 month’s of warranty ! Not bad for FREE! If you’ve found any other rebates please share them on our Facebook page. Also don’t forget to check out the list of coupons I’ve posted this week. You may be able to use a coupon and a rebate to double up on the savings in some cases. 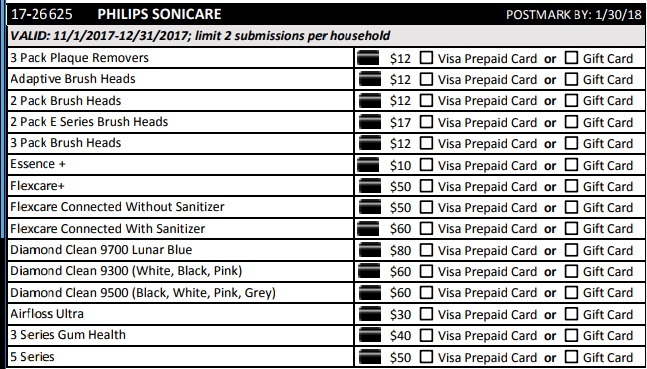 This entry was posted in Sonicare Rebate Forms and tagged 2017, December, rebate, Sonicare. 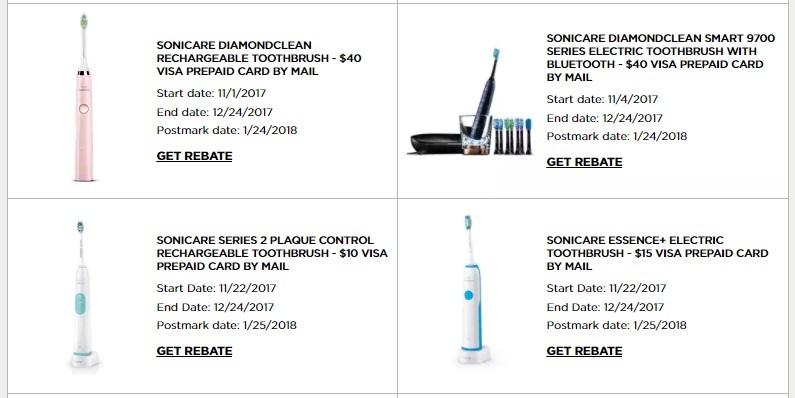 ← 12 New Coupons – That Will Save You Upto $30 Off A Sonicare Toothbrush!